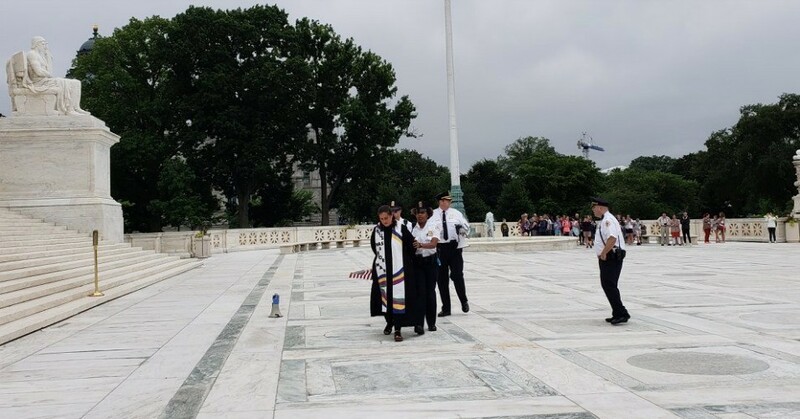 A day after being detained for leading a Poor People’s Campaign demonstration on Capitol Hill—just two of the dozens of arrests of anti-poverty advocates at protests across the country on Monday—Rev. William Barber and Rev. 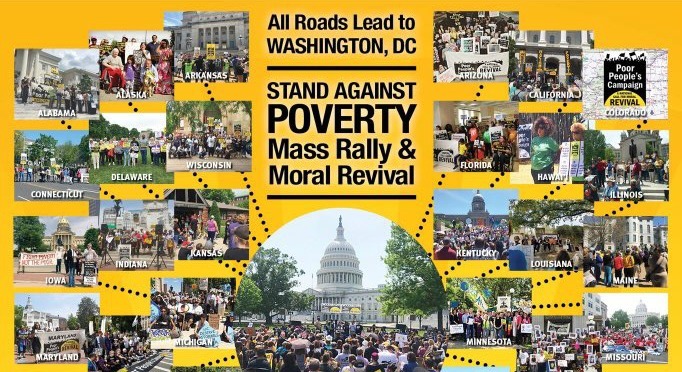 Liz Theoharis were set to speak at a forum on inequality and poverty in Washington, D.C. on Tuesday. This entry was posted in Austerity, Civil Rights, Climate Change & Environmental Issues, Corporate Personhood, Corruption, Demonstrations & Protests, Economics, Education, Government, Health Care, Housing, Human Rights, Income Inequality, International Agreements, Living Examples, Peaceful resistance, Racism, Social Justice, Solidarity, Voting, Water, Women's Issues, Workers' Issues and tagged Atrocities, Capitalism, Civil Rights, Climate Change, Corruption, Economics, Education, Elijah Cummings, Elizabeth Warren, Environment, Equality, Health Care, Human rights, Income Inequality, Poor People's Campaign, Protests, Racism, Rev. Liz Theoharis, Rev. William Barber, social justice, Solidarity, Voting, Water, Women's Issues, workers' issues on June 13, 2018 by ew.